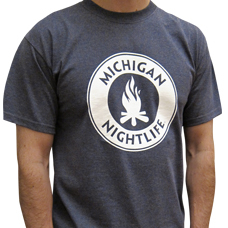 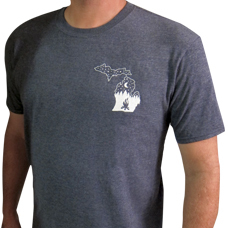 This two sided heather navy t-shirt celebrates the icons that make up the Northern Michigan traditio.. 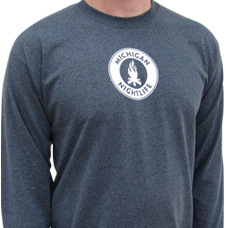 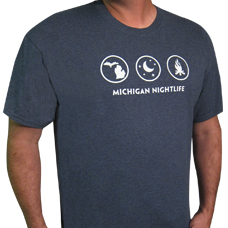 This two sided long sleeve dark t-shirt celebrates the icons that make up the Northern Michigan trad..
MI Nightlife "Under the Stars"
LARGE - CURRENTLY OUT OF STOCKThis two sided heather navy t-shirt's designs celebrates the Northern .. 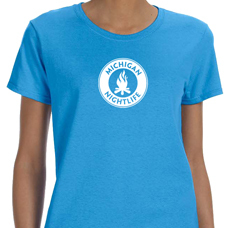 This sapphire women's t-shirt celebrates the Northern Michigan tradition of sitting around the campf.. 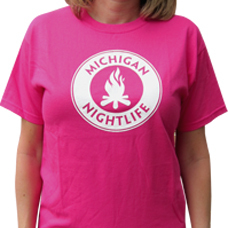 This heliconia women's t-shirt celebrates the icons that make up the Northern Michigan tradition of .. 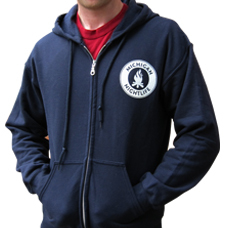 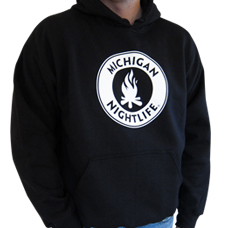 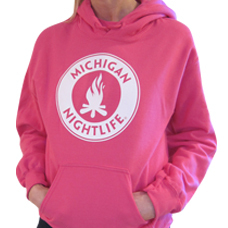 This black pocket hoodie celebrates the Northern Michigan tradition of sitting around the campfire w.. 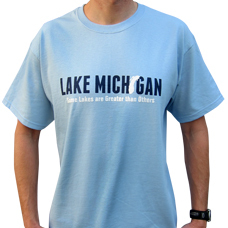 This navy zip hoodie celebrates the Northern Michigan tradition of sitting around the campfire with ..
Lake Michigan "Some Lakes Are Greater Than Others"
This t-shirt design ends the debate of which Great Lake is the greatest of them all. 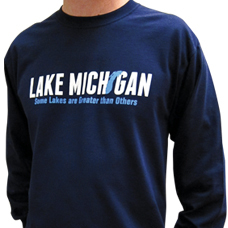 Let people..